Rapper Soulja Boy attends BET “Music Moguls” premiere event at 1OAK on June 27, 2016 in West Hollywood, California. *While Soulja Boy was busy promoting his planned boxing hustle with Chris Brown, thieves reportedly broke into his Hollywood Hills home on Tuesday (Jan 10) and took off with a booty worth thousands. 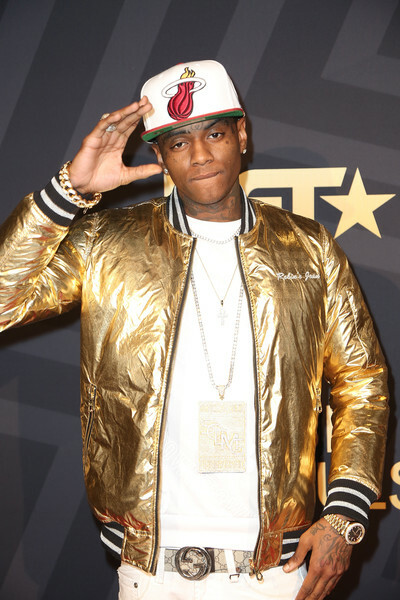 The break-in comes on the heels of Soulja Boy’s headline-making feud with Chris Brown, which began January 2 on social media and may end up in a boxing ring in Dubai.